NEW BRITAIN – The offices of The New Britain Herald will relocate from Court Street to the Liberty Square office building effective July 1, publisher Michael Schroeder announced on Monday. ​The landlords were effusive about the move. "We're excited to have The Herald as neighbors. It's a great space in New Britain, and we're happy that two longtime businesses committed to the community can share this space together," said Kate McCue, executive vice president of her family's firm. 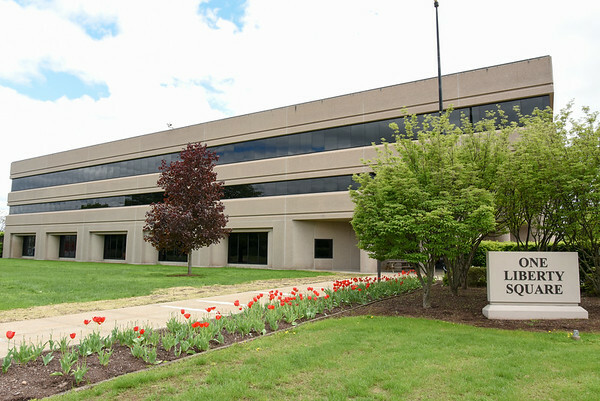 The Herald moved from its headquarters at Herald Square to its present office overlooking Central Park at ​One​ Court St. six months after Central Connecticut Communications acquired ​t​he New Britain Herald and The Bristol Press in early 2009. The newspaper had constructed the Herald Square facility in 1952. The building remained vacant from 2009 until developers Opportunity Real Estate Equities LLC acquired the site in 2014. Following an exhaustive overhaul and upgrade, American Renal Associates moved into the building last year. The firm occupies the first floor of Herald Square Dialysis, which accounts for about half of the 30,832-square-foot building. A broker continues to attempt to secure a tenant for the second floor. Schroeder noted that The Herald has never moved more than one-quarter of a mile from its original offices since its incorporation in 1880. Posted in New Britain Herald, Business, General News, New Britain on Monday, 8 May 2017 22:44. Updated: Monday, 8 May 2017 22:54.